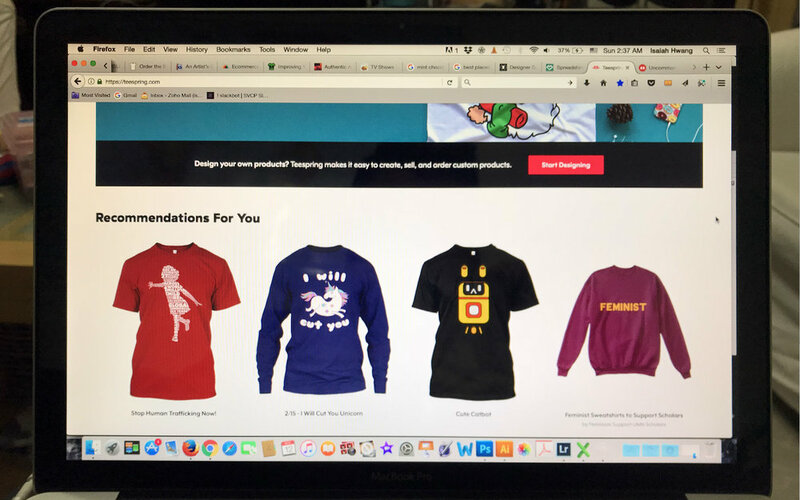 My shirt is on Teespring! Wow! It's been quite a while since my last post. In that time I've been busy with projects, looking into some options for low quantity apparel printing, and doing a lot of traveling. And to my surprise, my shirt made it to their front page! Not sure if it will still be there when you visit, but at the time of writing this, it's up there. Pretty cool in my book. Work, work, and it hit 103° today in San Jose!! !